Let's face it, outdoor PIRs are usually ugly. 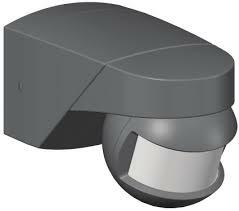 Unfortunately we have recently been informed by the manufacturer that this great looking product has been discontinued. SPECIAL Run-Out Pricing. Over 50% off RRP. A replacement product will be sourced shortly. 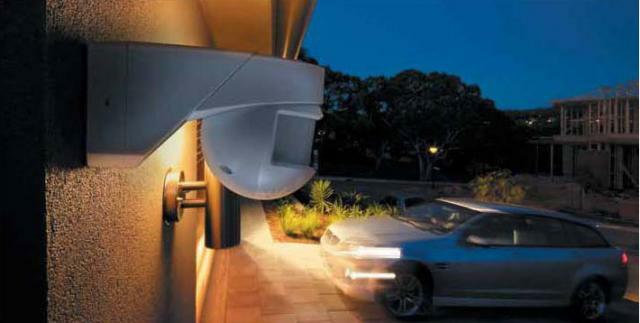 The Clipsal Kinesis 100 Series passive infrared (PIR) sensor automates switching of outdoor lighting in response to movement; perfect for welcoming guests and deterring intruders. It offers a combination of security, safety and convenience for many outdoor residential, commercial and industrial applications. Automated switching also ensures that lighting is only activated as needed, making it an extremely valuable addition to any building and energy management strategy. The Kinesis 100 Series outdoor motion sensor offers a highly flexible array of mounting options and can be mounted on flat surfaces, walls (vertical) or eaves (horizontal), as well as internal or external corner mounting. ■ 140° field of view. ■ Adjustable 2 to 2000 lux. ■ Quick connect wiring system for easy installation. 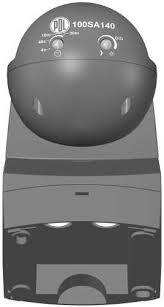 ■ Various mounting options - wall (vertical), under eave (horizontal) or corner (internal or external). ■ Customisable detection area (zone mask supplied). ■ Corner mounting kit included. ■ IP44 weather proof rating.